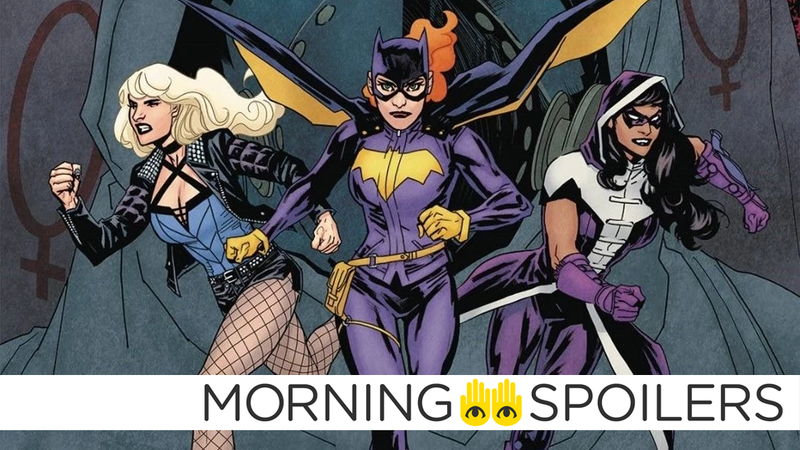 The Birds of Prey could be facing a familiar star in their movie. In the wake of yesterday’s casting news, Variety’s Justin Kroll reports Warner Bros. is looking to cast either Ewan McGregor or Sharlto Copley as Roman “Black Mask” Sionis, the rumored villain of the film. The Hollywood Reporter says Tony Jaa, Ron Perlman, and T.I. Harris have been cast in Paul W. S. Anderson’s film adaptation of Capcom’s Monster Hunter gaming franchise. Perlman will play Admiral, “the leader of the Hunter’s Crew,” while Harris is Link, “a sniper,” but Jaa will play the male lead, known only as The Hunter, like the protagonists of the monster-slaying games. Milla Jovovich was already set to start as Artemis. Feel the fury of the Phoenix Force in this motion poster, released to go with that early morning trailer drop. I didn’t realize that importance at the time, about how impactful Candyman was, particularly in the inner cities which had some of the strongest fanbase. He was that African-American representing, you know, us. So I’m honored. If Jordan wants to do it, do it. I know I’d rather have him do it, someone with intelligence, who’s going to be thoughtful and dig into the whole racial makeup of who Candyman is and why he existed in the first place. /Film has the first chapter of the film’s official tie-in novelization. Check out our review here. When we started doing it… this was in development about a decade ago. At the time, I think the thought was we don’t want to cannibalize the theatrical. Let’s keep it as a theatrical event movie. If that starts flowing down, we would address TV. Nowadays, we all know, TV is pulling out ahead of theatrical in a way that surprised everybody, certainly me. Coming Soon has images from the season four premiere, “The Virgin Gary.” More at the link.